The popularity of turmeric and starting the day with a glass of lemon water has (at least partially) to do with Ayurveda. The historic Indian system has been around since5,000 BCE, and it’s not going anywhere—especially because one of the main tenets is that you can’t treat your body without considering your mind, which may seem obvious in an age of meditation apps, but was a pretty radical idea until fairly recently. "Ayurveda looks at whole systems of the body as a single holistic functioning unit," explains Bhaswati Bhattacharya, MPH, a clinical assistant professor of medicine at Weill Cornell Medical College in New York City who is currently completing a Ph.D. in Ayurveda studies. Here, five things fit bodies should know about the practice. 1. 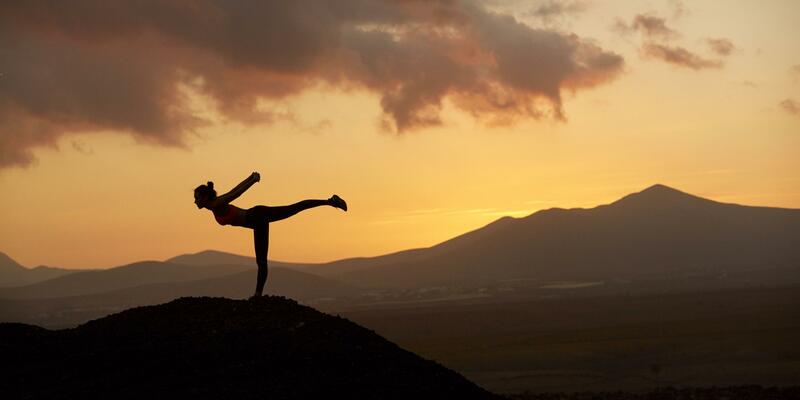 Your 'dosha' could affect how you exercise in the morning. "Ayurveda provides individualized health treatments based on factors outlined in the traditional Sanskrit texts like the local land, the person’s ancestral land, body constitution [type], and the body’s strength," notes Bhattacharya. To that end, the philosophy presents three main archetypes, called doshas. Known as pitta, vasha, and kapha, each one represents a type of energy. But unlike astrological signs, identifying yours isn’t cut-and-dried. "You can take a 20-question test online that will tell you your dosha, and that’s interesting, but it’s like googling a health condition instead of seeing a doctor," says Sarah Girard, a New York City-based yoga instructor who teaches at Equinox and is a student of Ayurveda. She also adds, "I would always recommend seeking out a practitioner, because there’s so much individual nuance. For example, you can be bi-doshic or tri-doshic, so it helps to have an expert guide you through all the different possibilities." He or she can help explain the daily morning routine, which is the most effective way to practice on your body and see the benefits. For instance, vashas do well with sun salutations and cat-cow yoga moves performed slowly, while kaphas require more vigorous exercise in the a.m., such as fast-moving sun salutations and practicing peacock pose. 2. Every meal should feature six tastes. Another central tenet is that there are six tastes you should incorporate into your diet: sweet, salty, sour, pungent, bitter, and astringent. That’s advice that Dana James, M.D., a New York City-based nutritionist and founder of Food Coach NYC, echoes: "Once you have all of those components in a meal, it feels really complete. I often get asked by clients why they crave something sweet right after having a salad, and it can be because there’s an imbalance of all of those elements. If it only has salty items, you might find yourself craving the opposite immediately afterwards, so it’s important to find healthy ways to incorporate all of the tastes." And as Bhattacharya explains, we’ve only scratched the surface of how those tastes are received by our brain, and the effects they have. "Neuroscience researchers are discovering profound correlations between tastes (called 'rasa' in Sanskrit) and the nervous system of the gut," she says. 3. The quality of your food is key. Ayurveda was all about grass-fed and locally-farmed foods before they became buzzwords in every healthy restaurant and nutrition regimen. "Ayurveda aligns us with the forces of nature,” says Bhattacharya. "When we eat local, and pay attention to our body and what it needs, we gravitate back toward health." That’s especially important if you’re committing to some elements of an Ayurvedic diet, says James. "Dairy is recommended for some doshas, but I think you have to consider the difference between dairy found in India 5,000 years ago and the industrial stuff of today. If you can get high-quality, grass-fed dairy, then that’s one thing, but if not, then it may not be the best idea." As with all diet advice, you should seek out an expert before making any major changes. 4. It takes a preventative approach, but can also heal. "Nutrition is mostly looked at today as a way to alter a disease state, and that’s very new," says James. "Twenty years ago, it wasn’t the accepted paradigm that food could actually change your wellness. But Ayurveda has been grounded in that principle since the beginning." Moreover, the practice has always believed in healing the gut’s healthy bacteria. "Ayurveda provides more solutions for gut problems than any other medical system I have encountered," says Bhattacharya. 5. It's not a religion, but it is mindful. Though Ayurveda relies heavily on mindfulness, and is “a sister practice to yoga asana,” explains Girard, be wary of resources that treat it as a faith. "Ayurveda is not a religion," says Bhattacharya. "It is a system of life systematically aligned with the sciences of nature." For further reading, you can check out her book, Everyday Ayurveda, and she also recommends anything written by Robert Svoboda, Vasant Lad, and Sebastian Pole.